Career changes can be thrilling, but they can also be stressful and difficult. Even though it might be tough to stick it out, it’s important to remember why you want to make a change in the first place. If you’re considering a career in Medical Assisting, you may find it helpful to read some information that we’ve recently put together. 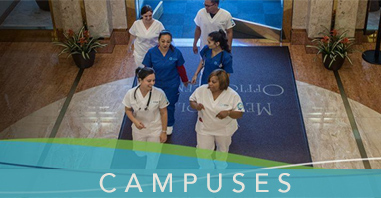 Today, we’ll be tackling questions like: “What is the career outlook for Medical Assisting?” And: “How long is medical assistant certification?” We’re also going to include details about the Medical Assistant program at Unitek College. Without further ado, check out our FAQ-style blog post! A: Medical Assisting is often seen as a fulfilling career in healthcare. Not only do Medical Assistants fill a critical role, but they do so by assisting physicians, interacting with patients, and communicating with others. They enable doctors to see more people, and they act as a source of security and comfort for their patients. Additionally, the Medical Assisting profession is anticipated to grow,1 and it often promises stability and security. + Detail oriented. Medical Assistants must be precise when recording vital signs or patient information. 4. Q: How long is Medical Assistant certification? A: It depends on your goals and the type of certification you’d like to earn. For instance, two of the most common types of Medical Assistant certifications are ones that we’ve previously mentioned; the Certified Medical Assistant (CMA) credential and the Registered Medical Assistant (RMA) credential. Typically, seeking certification will take less than a year’s time. For more information about passing the CMA (AAMA) certification exam—and the MA profession in general—check out this helpful article by Medical Technology Schools. 5. Q: How long does it take to become a Medical Assistant? A: It depends on the program and whether you’re seeking a diploma or an associate’s degree. Normally, it takes a year or less to receive a diploma. 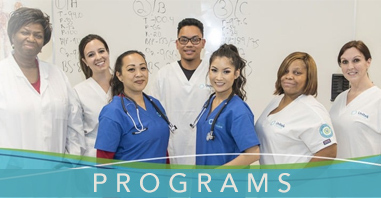 It’s worth noting that Unitek’s Medical Assistant program can be completed in as little as 9 months! 6. Q: What is the career outlook for Medical Assisting? A: Good news! Employment opportunities are expected to increase 29 percent by 2026.1 According to the Bureau of Labor Statistics, demand for Medical Assistants is anticipated to grow due to increasing lifespans in the elderly population. In order to see as many patients as possible, doctors will hire more medical professionals that can assist with both clinical and administrative tasks. 7. Q: What should I know about Unitek College’s MA program? A: At Unitek, we offer a program that enables students to invest in their future without spending years in school. Our active-learning approach includes a combination of expert lectures, simulation training, and a 160-hour supervised externship. While students have access to well-stocked lab rooms, the MA program also focuses on important tenets like teamwork and professionalism. 8. Q: What courses do students take while attending Unitek’s MA program? 9. Q: What are some benefits of becoming a Medical Assistant? A: Some choose Medical Assisting because it is their desired career, while others use it as a fantastic jumping off point for other careers in healthcare. As a Medical Assistant, you will gain invaluable knowledge, varied experience, and networking opportunities. Perhaps most importantly, you will help others and better the community around you. For more information about the MA program, please check out our campuses and contact us!